Voting Counts is run by volunteers. Donations and purchases enable us to run social media advertising and create printed resources – helping us to reach more people and get them informed ahead of elections. If you’d like to give a one off donation to Voting Counts you can do so below. Voting Counts will use the information you provide on this form to be in touch with you and to provide updates and marketing. Acceptance of any contribution, gift or grant is at the discretion of the Voting Counts. The Voting Counts will not accept any gift unless it can be used or expended consistently with the purpose and mission of the Voting Counts. Voting Counts will refrain from providing advice about the tax or other treatment of gifts and will encourage donors to seek guidance from their own professional advisers to assist them in the process of making their donation. Voting Counts will accept donations of cash or publicly traded securities. Gifts of in-kind services will be accepted at the discretion of the Voting Counts. Certain other gifts, real property, personal property, in-kind gifts, non-liquid securities, and contributions whose sources are not transparent or whose use is restricted in some manner, must be reviewed prior to acceptance due to the special obligations raised or liabilities they may pose for Voting Counts. Voting Counts will provide acknowledgments to donors meeting tax requirements for property received by the charity as a gift. However, except for gifts of cash and publicly traded securities, no value shall be ascribed to any receipt or other form of substantiation of a gift received by Voting Counts. Voting Counts will respect the intent of the donor relating to gifts for restricted purposes and those relating to the desire to remain anonymous. With respect to anonymous gifts, the Voting Counts will restrict information about the donor to only those staff members with a need to know. Voting Counts will not compensate, whether through commissions, finders' fees, or other means, any third party for directing a gift or a donor to Voting Counts. If you have your own printing facilities you can download a PDF copy of our local elections poster. All we ask in return is that you tweet/email us a photo of them on display, even if you can donate just a couple of pounds (above) it would really help support us! Our A3 posters can be displayed around your school, university or community. They are specifically designed for the upcoming local elections, and promote voter registration and engagement in the elections. We also have two sided beer/coffee mats available. 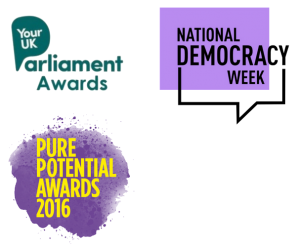 They demonstrate the importance of voting by highlighting the difference in turnout between 18-25 year olds and over 65s (source), while the other side points them in the direction of our website, where they can find out more information about elections and voting. 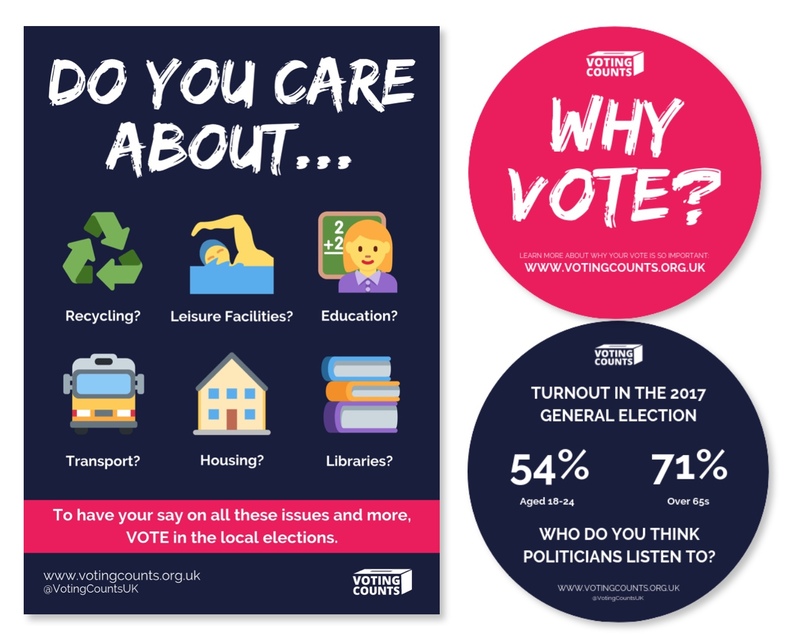 These beer mats are not local election specific, meaning they can be used in the run up to any election as the message is consistent – unfortunately young adults don’t vote as much as older generations. Please leave a note with your purchase with your preferred delivery address. If you forget to do this don’t worry – we’ll drop you an email to ask where to post the items to.